OPEN CALL Workshop "Enchanted Kyiv by the Dnipro"
The Dnipro, the emblematic river of Ukraine, has a strong imagination. The river has been seeing the city of Kyiv growing and evolving. Today, it forms an axis, between history, industry, poetry and geographical form: what uses has it in the city? How does the river connect with Kyiv? 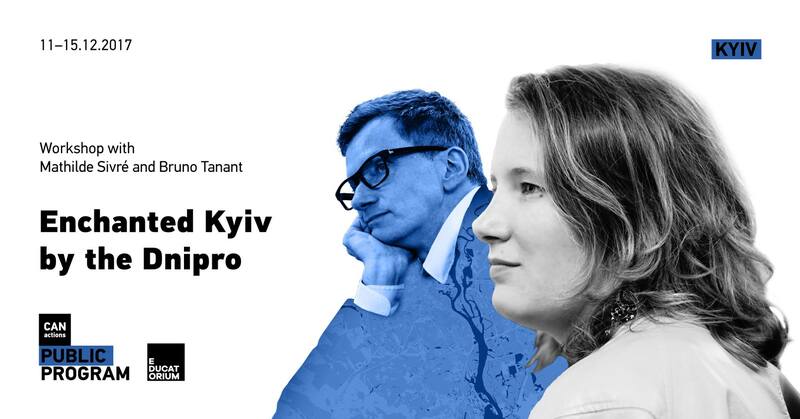 This introductory workshop is open to all architects, landscape architects, students and qualified specialists who want to investigate the process of drawing as a method to learn how to perceive, observe and represent the numerous interactions between the Dnipro river and the city of Kyiv. This workshop will encourage visual thinking as a formative tool for problem-solving that provides a means to envision a sustainable future. The focus will be on the critical coordination between hand, mind, and idea. BRUNO TANANT is a co-founder of TN+ agency, landscape architect. He is a graduate and lecturer in l'Ecole Nationale Supérieure du Paysage in Versaille, invited professor in schools of architecture in Paris, Lyon and Grenoble. He is also a member of the state council of landscape architecture. MATHILDE SIVRÉ is a graduate of l'Ecole Nationale Supérieure du Paysage in Versaille. During her participation in exchange program ERASMUS in Hanover, Germany, she was elaborating the diploma project about the future of new Soviet cities on an example of Noviy Rozdil (Ukraine). APPLICATION FOR WORKSHOP "ENCHANTED KYIV BY THE DNIRO"
WHERE HAVE YOU LEARNED ABOUT WORKSHOP? Congratulations to new students ASIUD 2017/18 program!